“He makes himself available and is a real team player,” Zidane said about Benzema. 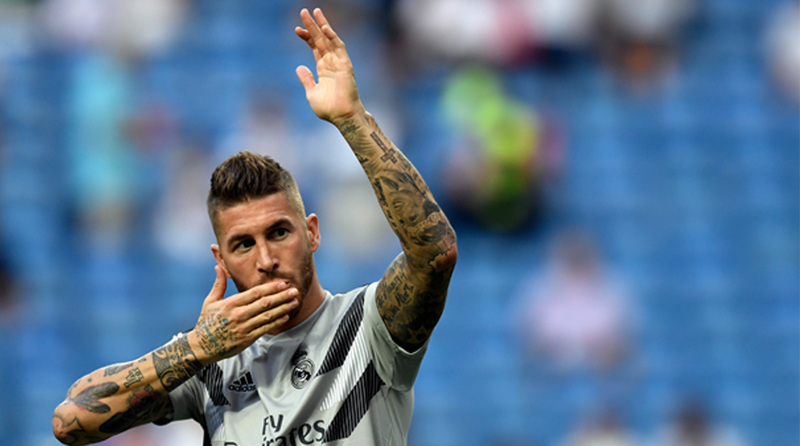 Former Real Madrid chief coach Zinedine Zidane on Wednesday praised the club captain Sergio Ramos as well as Portuguese superstar Cristiano Ronaldo, who recently moved from the Spanish football giants to Juventus. In an interview with UEFA, Zidane said the two stars played a good role in helping Real Madrid win the third consecutive title of the Champions League when he was the coach, reports Efe. “Sergio Ramos is a natural leader and a big presence in the dressing room, and Cristiano Ronaldo is a leader on the pitch who inspires his teammates,” the French coach said on the UEFA official website. “They are both players with a lot of energy and influence within the squad. They complement each other well,” Zidane stated. The French coach and former player also pointed out that forward Karim Benzema was a key player for Real Madrid, as the French forward provided balance to the attacking line. Zidane also stressed that winning the last three Champions League titles was helped by the fact that the squad was the same that played the finals of Milan (2016), Cardiff (2017) and Kiev (2018). Zidane discussed winning the three championships, “The first (Champions League) stands out because it was my first as a coach; the second was both symbolic and intense — with us facing Juventus and turning in an exceptional second-half performance. And the third topped off my three seasons as coach of Real Madrid,” Zidane added.